Tomato, Bloody Butcher is rated 3.8 out of 5 by 12. Rated 5 out of 5 by MsOrdeal from Best Tastiest Earliest Tomatoes I read about these in MSL and decided to try them last season. These were the most prolific, tasty, uniform, disease resistant early tomatoes I've ever grown. Each tomato was about 2.5oz (yes they are small). My tomatoes were in the ground on May 31, with these being first harvest on July 15. From 6 plants, I got 417 tomatoes for a total weight of 65#. Rated 4 out of 5 by NJ Tomatoman from Good Alternative For Early Tomato I discovered Bloody Butcher at a Rutgers University agriculture extension tomato taste test. Have grown it the last couple of years. It's handball sized fruits have excellent flavor. It's a good alternative to growing Fourth of July. The output isn't as good but the flavor is considerably better. Rated 5 out of 5 by PatG from Super taste and texture We were pleased with the quality of the plants and then were VERY pleased with the production and flavor of the resulting fruit. Rated 4 out of 5 by CitizenKate from Very productive; tasty early tomatoes Very good first experience with an heirloom tomato. What I love about them: - It's an early tomato. I had bloody butchers 2 weeks before I had early girls. - Tomatoes are very juicy and delicious. Not really a big slicer tomato, but still good on sandwiches and in salads. 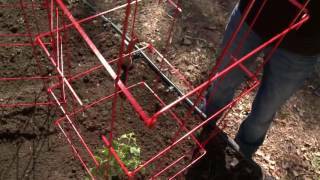 - The plants are very hardy and easy to keep healthy. - Lots and LOTS of tomatoes. What I didn't love so much: - They are very thirsty plants, they consume much more water than all my other plants. (A lot of it ends up in those juicy tomatoes.) - Higher number of tomatoes lost to BER than the other tomatoes I raised. (But the plants produced so many tomatoes, it almost didn't matter.) 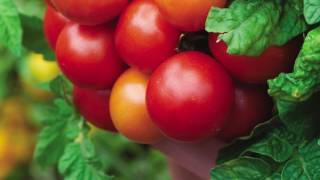 - Rather smallish tomatoes, 2.0-2.5oz, 2-inch diameter is typically what I got. I did have one MAMMOTH 3oz one. <grin> It would be a lot of work to can these, so I will only grow as many as I can eat on the spot. Overall, great tomato and plant, I'll be growing some more of them next year. They may supplant the early girls as my favorite early tomato. Rated 5 out of 5 by Faylyn from Beautiful plants, easy to start! I started some of these not quite two months ago and they are already huge, strong plants that are setting flowers. No leggy seedlings here! I haven't even gotten fruit yet and I already love these! I can't wait until I get tomatoes! Rated 4 out of 5 by Kraig from Steady producer I bought this tomatoe so I could get some early maters before the heat hit. It worked. I got some early maters but when the heat hit It did slow down. It was 100 plus for 45 days and dry. It still got me a few tomatoes in the heat. They are small fruits with good flavor but not burstin with flavor. Side note I had problems getting them to emerge in a hot house controlled invirenment. Took 2 weeks longer than the other tomatoes. Rated 1 out of 5 by Jakethepainter from 2010 lot not the variety that was shown I have grown this tomato for about 7 years, using burpee seeds. For a few years the variety disappeared from my local seed store. They reappeared in 2010. But the seed packets I bought in 2010 did not produce the same variety as previous years. The variety by this name that I have enjoyed so much was potato leafed and very early maturing with smooth small round fruits. In 2010 I got non-potato leaf medium maturing medium sized fruits a small amount of ruffling on the shoulders. I'm looking elsewhere to buy this variety this year because I'm afraid of missing out on these great tomatoes two years in a row.